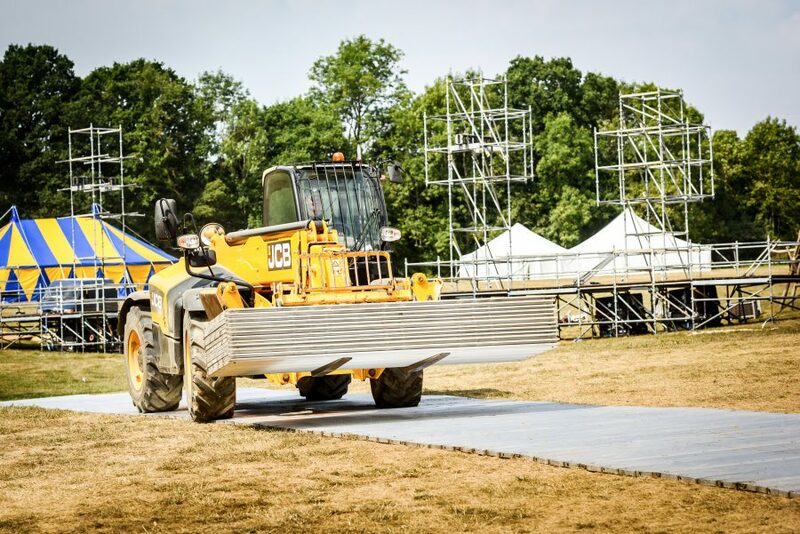 entertee’s new Ali Mat is a heavy-duty, light-weight aluminium trackway product that is strong and versatile. Ali mat comes in stillages and is therefore quick to unload, deploy and move round site as required by a forklift. Each panel is lightweight enough to be unloaded and loaded to and from the stillage by hand, by site crew, avoiding any damage to the ground below.